NT16 took place in August 7-13th, 2016. Over 400 participants from 34 different nationalities took part of this important event. Thank you for attending NT16! The Nanotube (NT) conference series counts amongst the foremost scientific meetings in the field of nanoscience and nanotechnology. Its aim is to disseminate the latest advances in both the science and the technology of carbon nanotubes, and related materials such as graphene and other low dimensional materials. 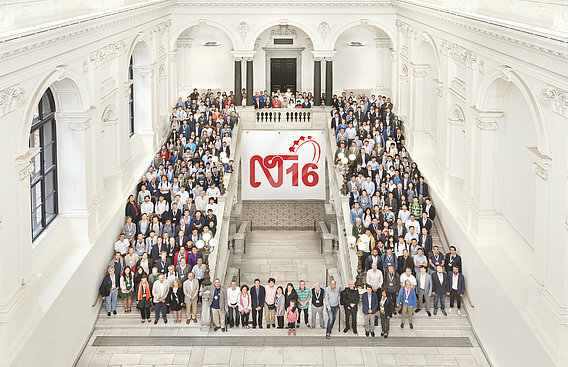 The seventeenth edition – NT16 – was held on August 7-13, 2016 at the historic main building of the University of Vienna, the capital city of Austria. As part of the program, five Satellite Symposia took place at the building of the Faculty of Physics on August 13 after the main conference. We hope you enjoyed your stay in Vienna.